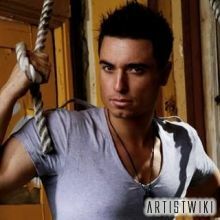 Faydee is a 23 year old up and coming RnB artist of Lebanese descent from Sydney Australia, rapidly making a name for himself in the international music community. His music transcends genres and styles, breathing fresh life into today’s somewhat monotonous music scene. The ‘Faydee’ sound can be described as a lively infusion of pop, R&B and electro. His music incorporates energetic synthesized melodies, infectious rhythms, intelligent song writing and controlled, skillful vocal delivery aswell as creating commercially viable music for both radio and club airplay. Faydee accomplished his first taste of success through his first Single release, the Double A Side Track “Breakthrough/Not In The Mood”. The Single received an astounding response from the industry and the public, receiving 6 months rotation on commercial FM radio in Australia aswell as selling out in retailers across Sydney.